Romeo and Juliet dancing Bollywood Fusion in the rain to celebrate 450 years of the Bard? Alas, in the modern day Keystone State, the quality of mercy is highly strained. Historians are unable to agree on the exact birth date of Shakespeare. Official celebrations mark it as April 23 (1564), but there are strong claims made for April 26. We personally prefer to celebrate everyday as Shakespeare day, since we love English (and English minus the Bard is a bit difficult to contemplate) and we love the day-to-day drama that takes place on this worldly stage, which if not always pitched at an epic Shakespearean level (thankfully), still manages to make our day (or break it). One particular recent sketch that is tinged with much sadness: Pennsylvania authorities have suspended Patrick "Romeo" Farves from the school prom for having dared to offer a (plastic) rose to the beautiful and gracious Nina Davuluri. Why? Surely the lady would not mind dancing a few steps with a young (if a bit too ambitious) boy. A missed opportunity for (brown-white) cross-culture pollination as well - Reihan Salam would have been pleased. Let us hope that not all young love is nipped in the bud in such a churlish fashion (Nina herself has requested for a royal pardon). The young adults now dreaming of making a grand entrance on the world-stage must be met with warmth, kindness, and understanding so that non-violent delights do not come to violent ends. 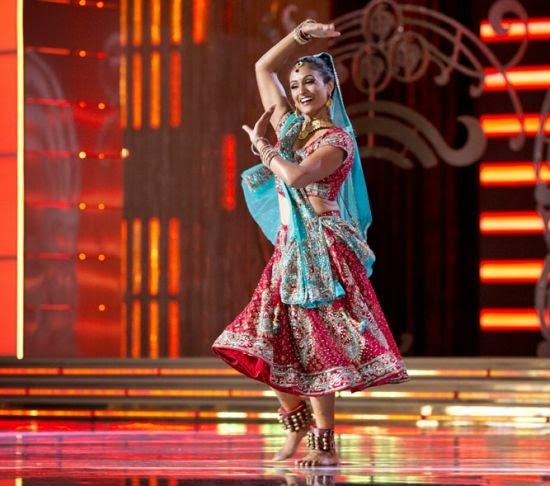 A Pennsylvania teenager has been suspended for asking the first ever Indian-American Miss America Nina Davuluri to the prom, the annual end of the year dance for high school students. Patrick Farves, 18, also handed Davuluri a plastic flower after he asked her to the prom on Thursday. She smiled — but he was suspended from school after the stunt, New York Daily News reported. The Central York High School senior was given a three-day suspension for "deliberately defying" school administrators' requests that he not pop the question after they learned of the planned stunt, the newspaper said. He later apologized, writing a letter to the district's assistant superintendent that he was honestly sorry for the commotion. His suspension sparked a #freepatty Twitter outcry where hundreds of students wrote about the unfairness of the punishment, Daily News said. Miss America 2014 Nina Davuluri was crowned in September and has a whirlwind tour of visiting schools and events.